Do You Suffer From Upper Airway Resistance Syndrome? 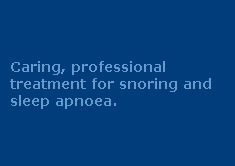 If you snore or you feel tired during the day you've most likely talked to your GP or a specialist about sleep apnea. You may have even had an in-home sleep study which came back clear. But, what you probably don't know is that Upper Airway Resistance Syndrome has almost the exact same side effects as sleep apnea. And, it's just as damaging to your well being. So what is Upper Airway Resistance Syndrome? 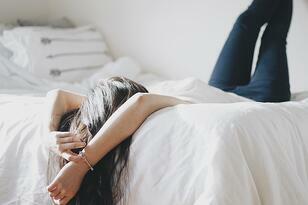 It's a sleep disorder that many people suffer from. And that regularly goes undetected because the symptoms are so similar to sleep apnea. But apnoeic events don’t show up in a sleep study. Instead, a sleep study will reveal slight changes in breathing patterns which indicate the occurance of an apnoeic event. Upper Airway Resistance Syndrome is actually a sub-type of sleep apnea. The key distinction is that your airway closes slightly instead of completely closing while you sleep. So your body reacts in a different way. And, your sleep study results won't identify sleep apnea however it will recognise an airway obstruction. Unlike some sleep disorders, being overweight is not necessarily the cause of Upper Airway Resistance Syndrome. It may be that you have a narrow air passage. Or you may have loose fatty tissues. Or your tongue may fall back while you sleep. These are fundamentally the same causes for sleep apnea. The difference between the two is that you may not snore. And that’s the reason you may get a misdiagnosis for Upper Airway Resistance Syndrome. Generally, a relative, partner or friend will recognise a sleep disorder. They will usually witness your snoring. However, with Upper Airway Resistance Syndrome you probably won’t snore. You may just breathe louder or struggle slightly with breathing. This makes it more difficult to recognise than other sleep disorders which is concerning in light of the fact that it may lead to a more sinister sleep disorder such as obstructive sleep apnea for example. The normal signs of Upper Airway Resistance Syndrome are daytime drowsiness and interrupted sleep. These same signs are regularly misdiagnosed as fibromyalgia, chronic fatigue syndrome or mental health issues, for example, ADHD or depression. So it's vital to ensure you have a test for Upper Airway Resistance Syndrome. Many people describe Upper Airway Resistance Syndrome as like breathing through a straw. It's this mild breathing change that is used to identify this disorder. Respiratory event related arousals (RERAs) are identified through nasal pressure and brain wave signals. In the 1990s when the term Upper Airway Resistance Syndrome was first coined, mild breathing changes did not appear in a home sleep study. Sufferers needed to go to a lab for testing. Fortunately, there have been many progressions since then. And now a polysomnogram is able to distinguish subtle changes. Treatment is vital as this syndrome can form into obstructive sleep apnea. In fact, the two breathing disorders are so similar that the treatment is the same as sleep apnea. Continuous positive airway pressure therapy (CPAP) is the ‘gold standard’ for treatment. It’s so simple and treatment is in the comfort of your own home. A CPAP machine increases air pressure when you breathe in preventing your airway from collapsing. What would you give to sleep soundly, wake feeling amazing and have heaps of energy for the rest of the day? It’s so easy to live a better life by treating UARS. If you suffer from daytime sleepiness and you have been tested for sleep apnea, ask your specialist about UARS. A basic home sleep study will help diagnose this disorder. When the consequences of UARS are so serious and treatment is so easy why wait? Call us today on 1300 246 637 or submit the contact form below for a free no-obligation chat with one of our friendly Sleep Therapists. Contact us now. Kushida, Clete A., ed. (2009). Handbook of Sleep Disorders (Second ed.). New York: Inform Healthcare. pp. 339–347. Guilleminault, Y. Do Kim, S. Chowdhuri, M. Horita, M. Ohayon, C. Kushida. Sleep and daytime sleepiness in upper airway resistance syndrome compared to obstructive sleep apnoea syndrome. European Respiratory Journal 2001 17: 838-847. Shneerson, John M., ed. (2005). Sleep Medicine (Second ed.). New York: Blackwell Publishing. pp. 229-237.